When did roman scutum became rentagular? Is iy in period of octavian reforms? 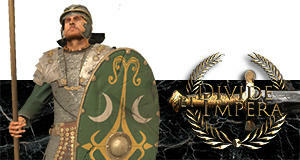 Ive notice tht imperial romans are not having thst kind of shield, it still look like republican. Of course, i may be wrong completly. Another interestig thing.. Does anyone here think that eventual reforms of seleucids would led to use of scutum too? I cant find exact info of seleucid shileds when army under antiocus IV was reformed. It everywhere say that its likely that they are thureos, like thoraktai... but nowhere i can find that info to be precise, its just guessing. That makes me think of giving seleucids unit with some sort of scutum shields, reworking existing silver shield thoraktai, or seleucid royal gurd infantry... I may sound like idiot, im just trying to make as much military distinction between diadoki dynasties as possible. Antiocus IV spent some time in rome after all.. The short answer is that no one really knows - just like we don't know when the Lorica Segmentata/Segmented came into use; let alone how universal it was. The armour, however, required new technology and techniques and specific manufacturing facilities. This was, indeed, only really available during the high point of the Roman Empire in the first and second centuries. The shield is just an adaptation of the existing in a slightly different shape - reducing the height by about 6 inches and squaring off the oval sides (so it probably weighed almost exactly the same). It does facilitate overhead over-lapping (testudo) by virtue of that shape and plugs any top and bottom loopholes when shield to shield - but neither of those factors seem to have been issues beforehand, though. Adoption at the same time as the segmented armour would seem to make sense, however, given the height reduction was then matched with greater protection from those nice armoured shoulder pads and also rather decent helmets. RSII 2.5/2.6 Tester and pesky irritant to the Team. Mucho praise for long suffering dvk'. Based on archeological findigns from up to I BC, it looks like Hellenic states never adopted scutum like shield, prefering thureos instead. Now since we are on the subject, I have an idea in mind for sort of "Imperial" reform for most of factions that would give sort of what if units (2-3 per faction max) to represent scenario in which Sparta conquered world etc So units would be still kinda plausible but just showing off more factional focus. Last edited by KAM 2150; March 15, 2019 at 06:37 PM. Thanks for fast replys guys. So, rentagular scutum could be used for imperial romans. It reminds me of stainless steel system for medieval 2. Great mod, but had some weird things.. for example kwarezmians had no real late game answer of units, because they stoped existing after mongols did them. This was wrong, they should have some logical units, because in game they may survive, thats point of total war, to change history. Seeing them kn 1500 ad still fighting with armies from start of 13th century was lame..
Realy lookimg forward to hear more info of this! That type of submod idea is weird to come from me as I am normally against what if units and I would rather keep armies less diverse than with hypothetical units. But for submod, why not. So imperial reforms thst u mentioned would be submod, not core DeI? Submod or not, it'd be a very welcome addition to DeI. It always felt a little odd taking one of the smaller factions that got historically snuffed out early really far, yet still be stuck with units that feel increasingly archaic or unchanging. I can't wait to see your work! +1 for the submod kam! Last edited by ♔Greek Strategos♔; March 20, 2019 at 11:55 AM. Yeah, I made some custom legio units for my own playthroughs, for the greek city states and Baktria f.e. I might even have made a lorica segmentata pikemen unit when I was drunk. That sort of what if submod sounds really cool, Kam. I love historical authenticity, but late game, you have to ask yourself, "If this civilization grew to encompass this much land and was this powerful, what innovations might they have made?". Maybe the greek kingdoms never used the scutum, but I think its a little bit limiting to say that, i.e. had they triumphed over the Romans, they never would have used it. 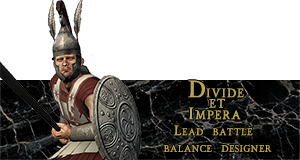 Balearic Legionary Slinger Cohort submod or I quit playing this game! 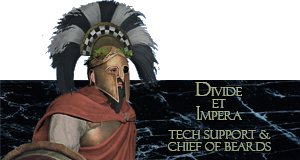 Spartan Legionary Cohort submod or I quit playing this game! Time Travelling Knights of the 14th Century General Unit Replacement submod or I quit playing this game! They haven't adopted scutum in more than 200 years of contact with it so it is safe to say they would be even less inclined to adopt it after triumphing over Romans Although some Greeks might get scutum in this submod. Last edited by KAM 2150; March 21, 2019 at 10:01 AM. I'm all for another reform level to represent late era changes in the arms race, but some of the logic presented here is a bit flawed. Consider this: If the Makedonians had won against Rome instead of having their phalangites thwarted by uneven ground, and then marched on to destroy the Romans, why would they adopt now proven to be inferior Roman-style units? The Makedonians, like the Romans, may have picked up a new improvement or two, but not changed their army into something that looked more Roman, it would have looked more Makedonian. In this alternate outcome the phalangite would have proven itself MORE effective (in reality it was a very close call afterall). So you would not see legionary reforms take over the Makedonian army, but rather some improvements of the phalangite order of battle (perhaps further improved peltasts and with up-armored machairaphoroi using some Roman-style gear to protect the flanks and assault fortresses). And we would see phalangite-style reforms, not legionary-style reforms occurring in armies of their existing adversaries around the region. Don't get me wrong, since some legionary reforms really did happen, they should stay. But late era reforms for other factions should be based on their own battle style -- because in this what-if scenario they would have been victorious using it. That is the main point, submod will put emphasis on strong points of specific factions rather than complete evolution. So for example Seleucids could have legionary style unit since they started working on it while Sparta would further improve their hoplites etc. Brilliant. It sounds like a great submod, super fun idea to mix things up.